Construction workers have been contributing to the famous New York City skyline since the late 1800s. This work still continues today, as it is difficult to not find some type of construction occurring on a city street corner. Construction workers are always improving buildings, sidewalks, roads, etc. This job often occupies dangerous conditions. Individuals in this profession handle risky tools and put themselves possible hazardous situations. This makes it possible for them to become injured while doing their job. If this happens, construction workers are able to receive benefits under workers’ compensation laws. It is important to contact an attorney if you have been injured on the job in a construction incident. Construction workers who are injured on the job are able to receive financial compensation. This compensation can be for their medical bills and lost wages as a result of the accident. Workers’ compensation is insurance that many employers are required to have for their employees in the event of injuries on construction sites. If a construction worker wants to receive workers’ compensation, they are required to give their employer notice within 30 days of when the accident occurred. In addition to this, the employee has 2 years from the date of the accident to file a workers’ compensation claim. If they do not do so within the given time limit, they may lose the chance to collect these benefits. If a construction worker accepts these benefits, they are not able to pursue legal action against their employer for their injuries sustained in the accident. While a construction worker cannot take legal action against their employer if they receive workers’ compensation, they may be able to do so against a third party. If another party is responsible for an individual’s injury, the individual may hold them responsible while still receiving compensation. In the event of this, the employee is required to show the party knew about, or should have known about, the dangerous condition that caused their injury. This requires the employee to gather evidence that proves so. 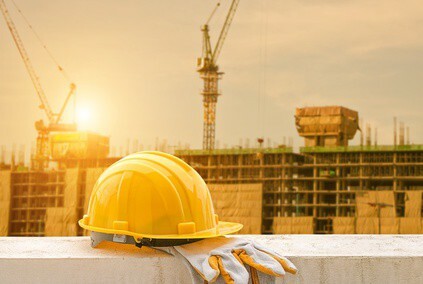 If you or a loved one has been injured in a construction accident and wishes to seek legal counsel, contact The Law Office of Richard M. Kenny today.